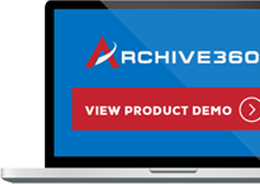 NEW YORK – July 16, 2018 – Archive360®, the world’s leader in intelligent information management solutions, today announced it will showcase its recently enhanced Archive2Azure™ data management and archiving platform at the upcoming Microsoft Ready Summer 2018, taking place July 18-20 in Las Vegas, Nevada. Visitors to Archive360 Booth #331 will see firsthand how Archive2Azure enables organizations of all sizes across virtually every industry vertical, to better capture, extend, onboard and manage numerous types of structured and unstructured data in the Microsoft Cloud (Office365 and Azure) in a manner that meets regulatory, legal and business mandates, in a legally defensible and compliant manner. In addition, visitors will have a chance to see how the Archive2Azure platform can now be custom tailored to suit specific business, IT and budgetary requirements, by mixing and matching its flexible modules that address: Databases, Files, Legacy Applications, Media, Messaging, SharePoint, and Salesforce, as well as vertical applications such as those found in Healthcare. “We are delighted with the unprecedented opportunity to meet and connect with the over 20,000 regional and global Microsoft professionals attending the upcoming Microsoft Ready Summer 2018, and to demonstrate how Archive360’s newly enhanced Archive2Azure delivers the industry’s most intelligent and robust information management and archiving platform for the Microsoft ecosystem,” said Bill Tolson, Vice President of Marketing, Archive360. Archive360 is the world’s leader in intelligent information management. Its proven platform enables organizations of any size to drive down the cost, risk and uncertainty of digital transformation to and in the cloud. Archive360 is a trusted partner for onboarding, validating, and managing all enterprise digital assets, while delivering predictability, defensibility and data insights. Archive360 provides non-proprietary information management that ensures security-focused infrastructure independence. Archive360 is a global organization with a worldwide network of partners. 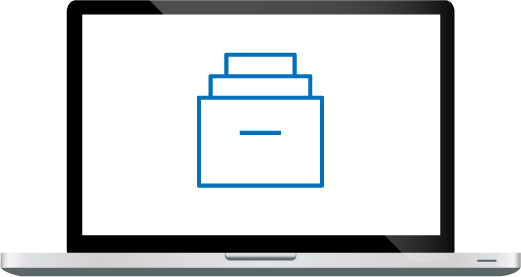 The Archive2Azure Platform is Microsoft Azure Certified. To learn more, please visit: www.archive360.com.